March 25, 2016 – At first glance, this cosmic kaleidoscope of purple, blue and pink offers a strikingly beautiful — and serene — snapshot of the cosmos. 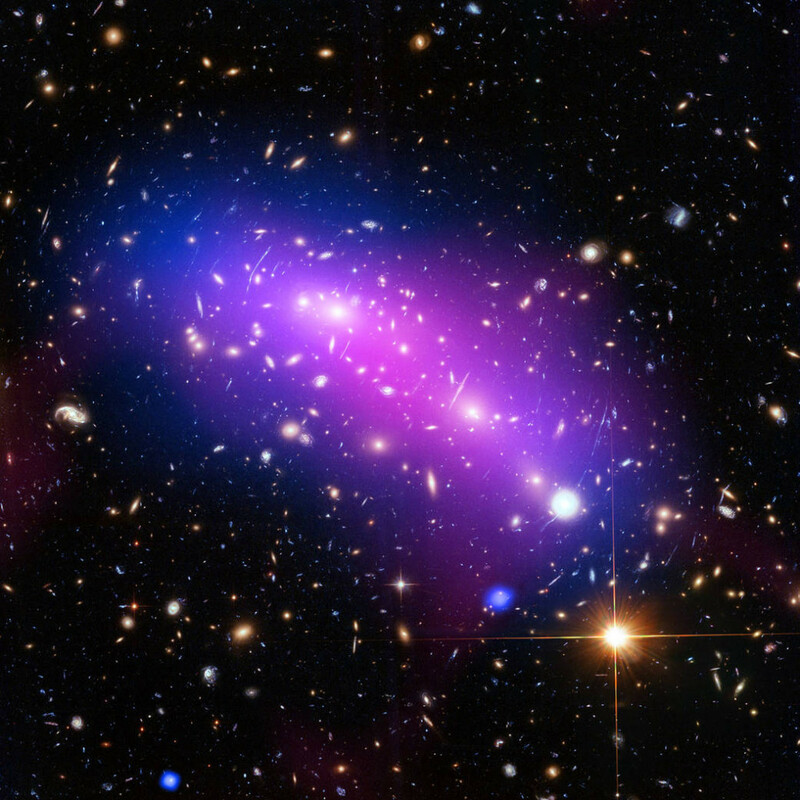 However, this multi-colored haze actually marks the site of two colliding galaxy clusters, forming a single object known as MACS J0416.1-2403 (MACS J0416). For more information on both Frontier Fields and the phenomenon of gravitational lensing, see Hubblecast 90: The final frontier.